Unable to contact Lookup Service. 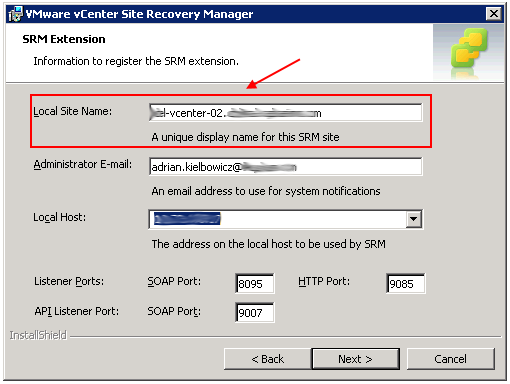 Check vm_ssoreg.log in the system temporary folder for more details. 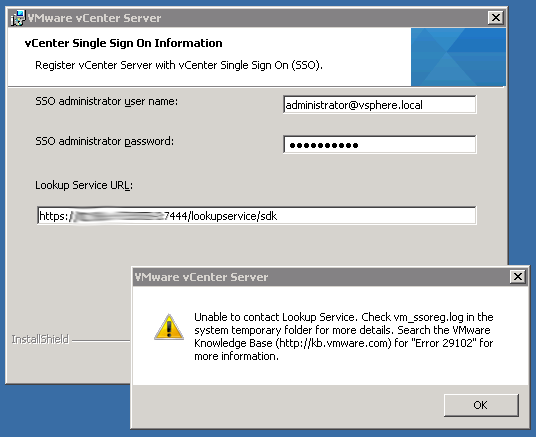 Search the VMware Knowledge Base (http://kb.vmware.com) for "Error 29102" for more information. The solution was rather simple but not straight forward to work out initially. My internal network ID for VMware hosts is 10.10.0.0/24 but what I was missing is the corresponding rDNS zone in my DNS (reverse). The minute I have created 0.10.10.in-addr-arpa the error went away. What makes this even stranger is the fact I have to redo my lab every 60 days and this is the first time this error has come up! This entry was posted in Support, VMware, Windows and tagged Error 29102, vm_ssoreg.log, VMware, vsphere 5.5 on January 12, 2017 by Adrian Kielbowicz. 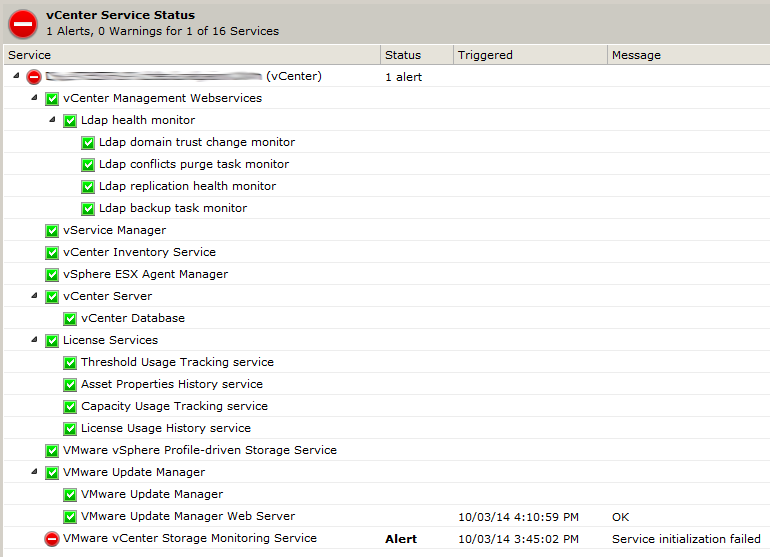 More SSLv3 (Poodle vulnerability) woes as this time NetApp VSC 5.0 is broken! Unable to connect to Virtual Storage Console server. 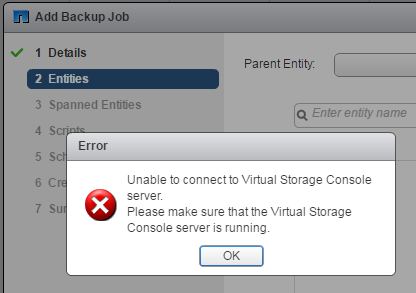 Please make sure that the Virtual Storage Console server is running. This entry was posted in NetApp, Support, VMware and tagged netapp, vcenter, vsc on August 18, 2016 by Adrian Kielbowicz. To cut this long story short – if you have vCenter Server 5.5 update 2 you will have issues if you patch your hosts to the latest available patch level for ESXi. VMware disabled SSLv3 (POODLE and all that..) in update 3b for ESXi meaning if your vCenter Server is running update 2 you won’t be able to connect until the vCenter is patched to update 3b as well. 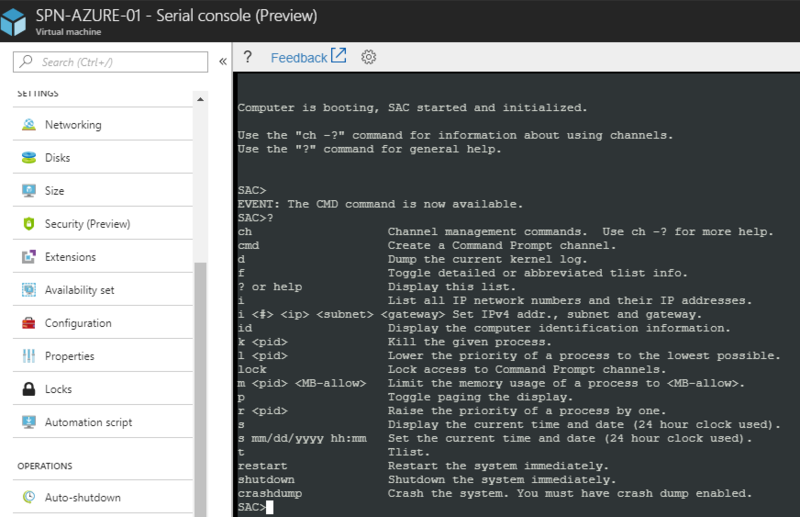 Running ESXi hosts on update 3b and having vCenter Server on update 2 is normally a perfectly valid configuration but because SSLv3 got disabled as part of this process the connectivity is broken. This entry was posted in Support, VMware and tagged sslv3, vcenter, VMware, vsphere on February 26, 2016 by Adrian Kielbowicz. This entry was posted in Support, VMware, Windows and tagged site recovery, srm 5.8, VMware, vsphere on January 4, 2016 by Adrian Kielbowicz. 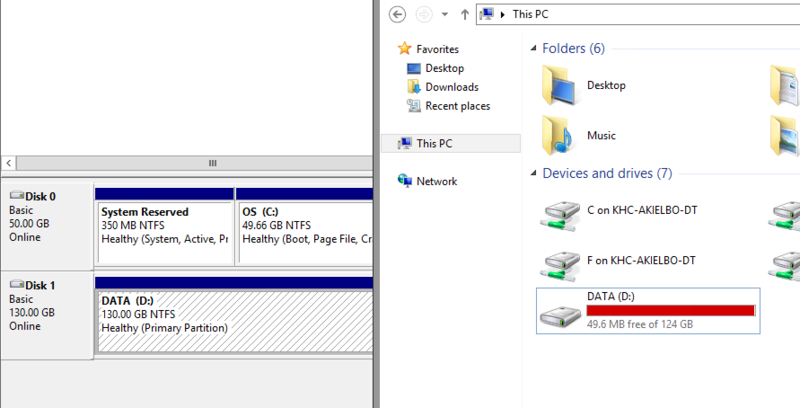 This entry was posted in Support, Windows and tagged 4.3.0, crashplan, Unable to connect to backup engine on October 5, 2015 by Adrian Kielbowicz.